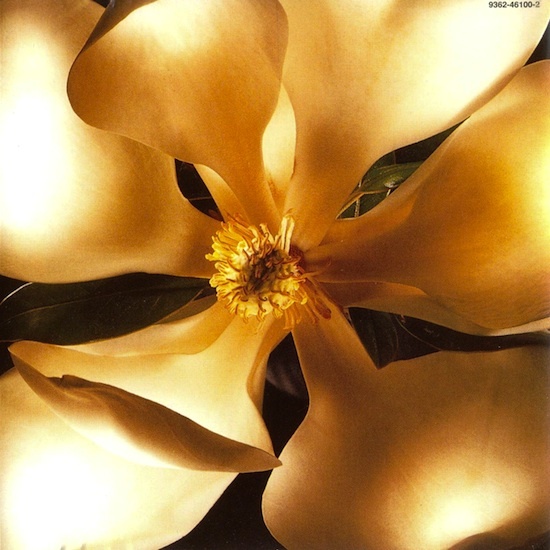 On October 30 1995, You’ll See was released as the first single from the ballads compilation, Something To Remember. 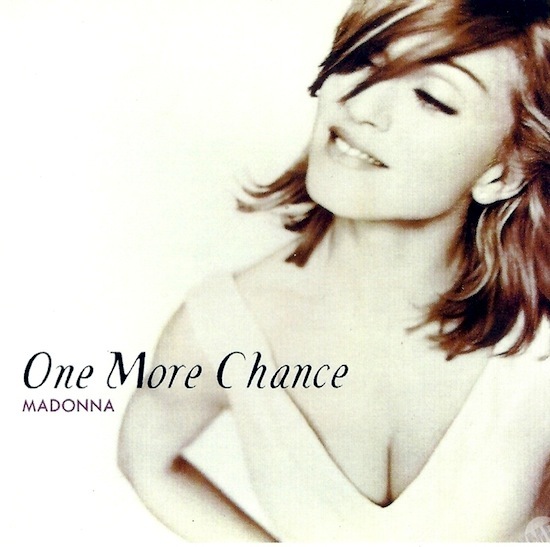 It was one of three tracks written and produced by Madonna with Canadian songwriter David Foster during a marathon writing/recording session in late September 1995, with One More Chance also making the album’s final cut. A shelved collaboration entitled I Can’t Forget was recorded by British electronic group Tilt (retitled Come Closer) in 2006 and later by Canadian vocalist Angelica Di Castro. Madonna’s original unreleased demo leaked to the internet in 2010. 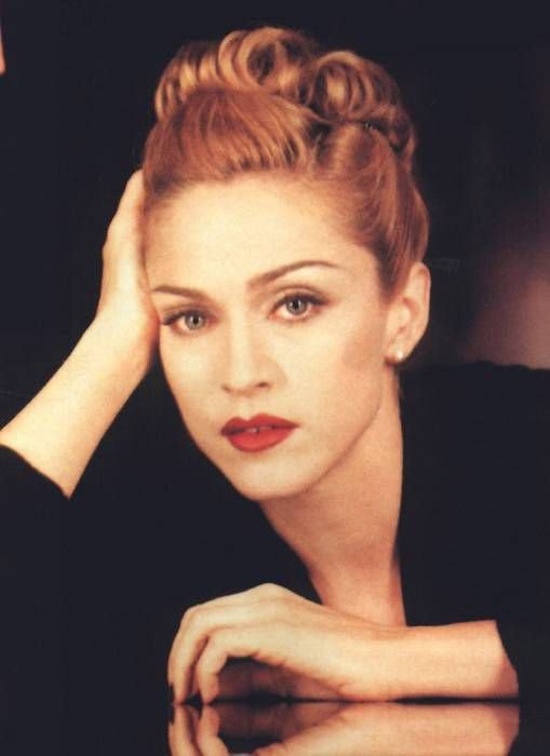 A Spanish version of You’ll See entitled Verás (featuring lyrics by Paz Martinez) was recorded during a brief promotional push for the album and was included on the North American maxi-single alongside an instrumental version and a live recording of Live To Tell (taken from 1987’s Ciao Italia! concert release). 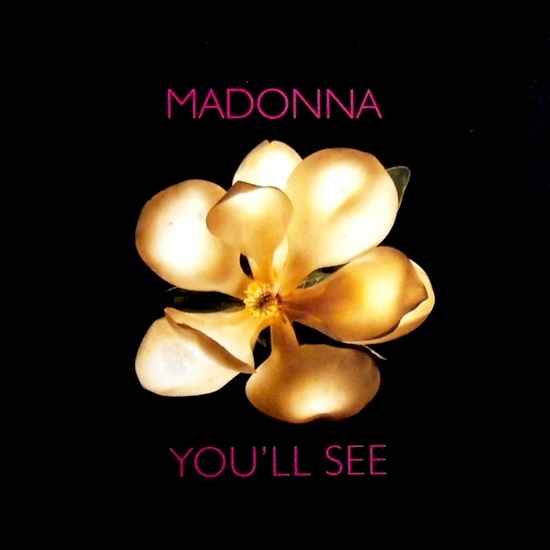 An alternate version of the You’ll See video was serviced to Latin markets to promote Verás featuring in-studio footage of Madonna recording its vocals. On January 6 1996, You’ll See peaked at #10 on Billboard’s Latin Pop Airplay chart in the U.S.
With the help of the single’s Spanish version, Verás, the song would also reach #21 in Billboard’s Hot Latin Tracks chart several weeks later, on January 20th. 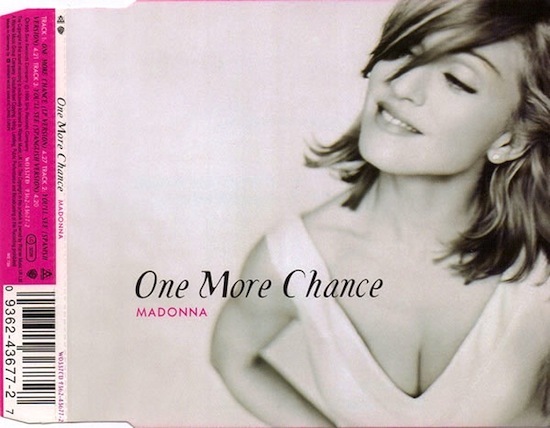 On March 7 1996, Madonna’s One More Chance single was released as the second single in Australia and Japan, and the third single in several European countries, from her ballads collection, Something to Remember. 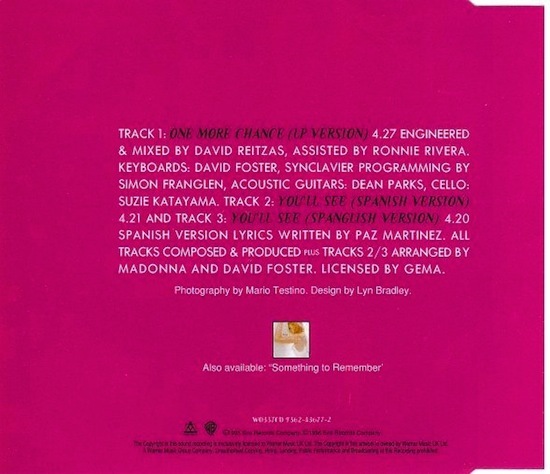 One More Chance was written and produced by Madonna and David Foster. 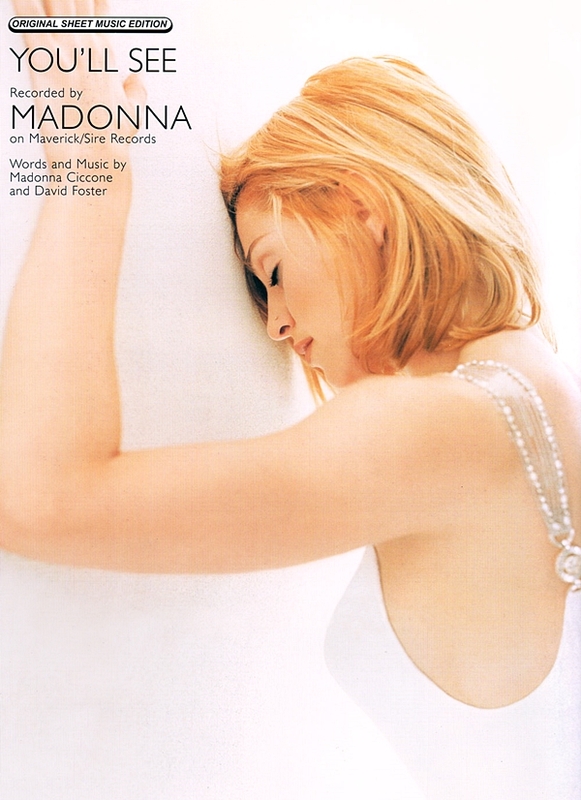 Foster initially did not expect Madonna would collaborate with him, as he believed that his music was not “really hip enough for her.” Madonna and Foster worked on the song during the writing and recording session for Something to Remember, in the third weekend of September 1995. 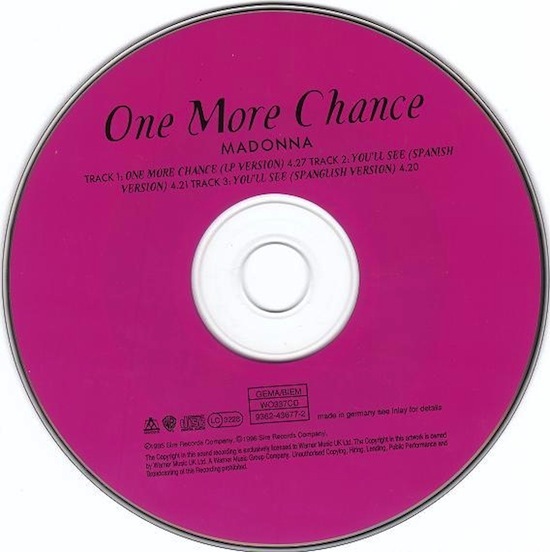 The song received positive response from music critics, who praised its musical simplicity and Madonna’s vocal delivery. 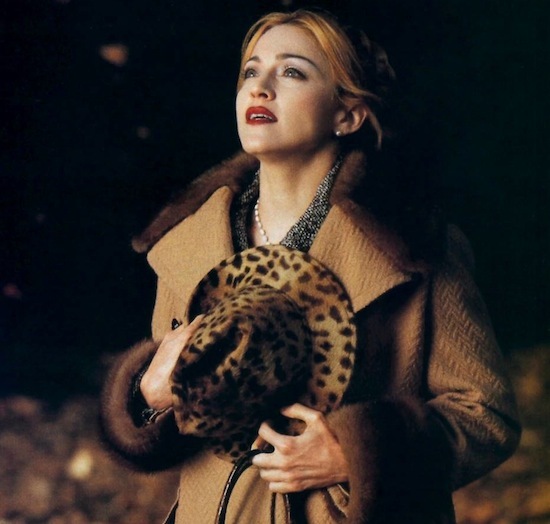 Since Madonna was busy filming the Evita, the song received little promotion and no accompanying music video. 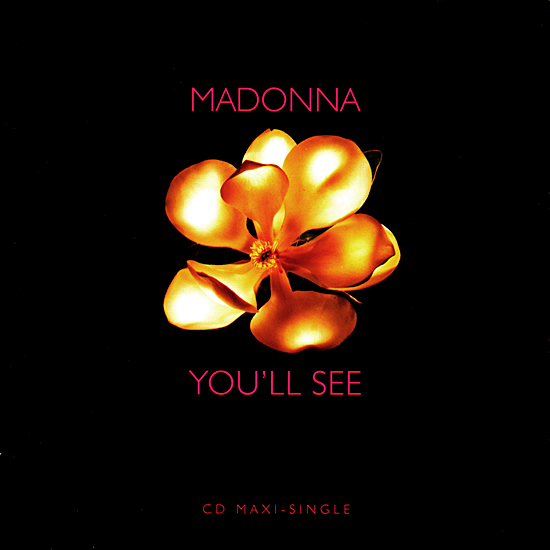 The Spanish version of You’ll See, titled Verás, appeared as the B-side of the single release. 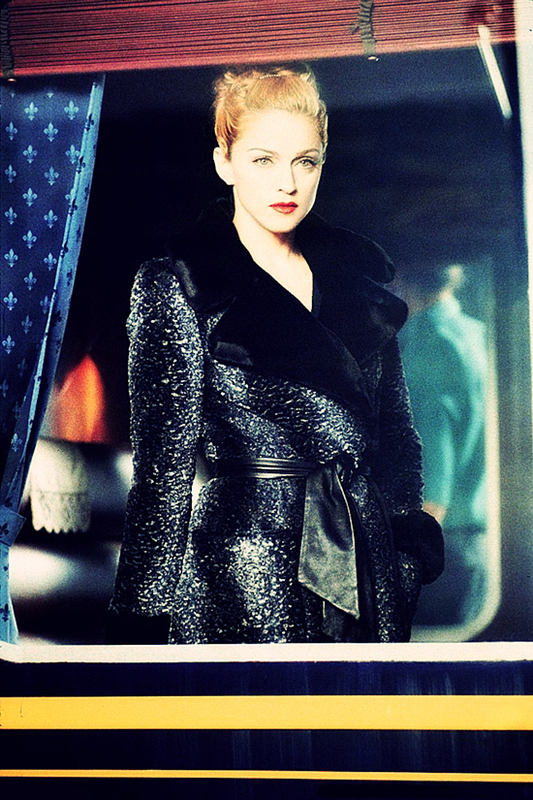 On December 16 1995, Madonna’s You’ll See hit #6 in the USA. When You’ll See peaked at number six on the Billboard Hot 100, it made Madonna one of only three artists in the Hot 100 history to have a hit peak at each position from one to ten on the chart. 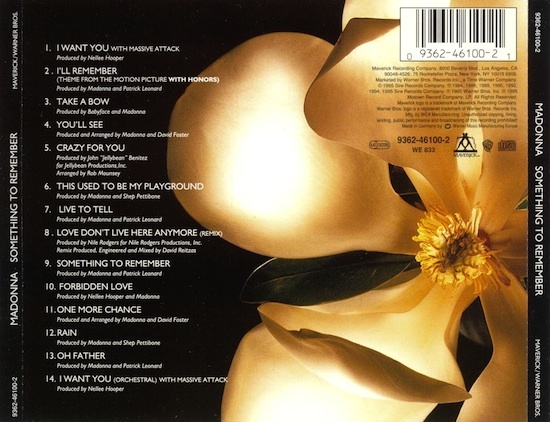 On November 7 1995, Madonna’s Something To Remember greatest ballad hits collection was released. The collection was released on different dates in different markets. So much controversy has swirled around my career this past decade that very little attention ever gets paid to my music. The songs are all but forgotten. While I have no regrets regarding the choices I’ve made artistically, I’ve learned to appreciate the idea of doing things in a simpler way. So without a lot of fanfare, without any distractions, I present to you this collection of ballads. Some are old, some are new. All of them are from my heart. 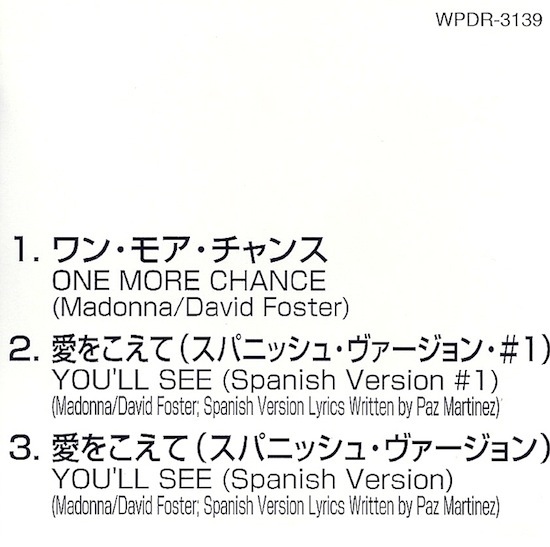 The Japanese release included La Isla Bonita. 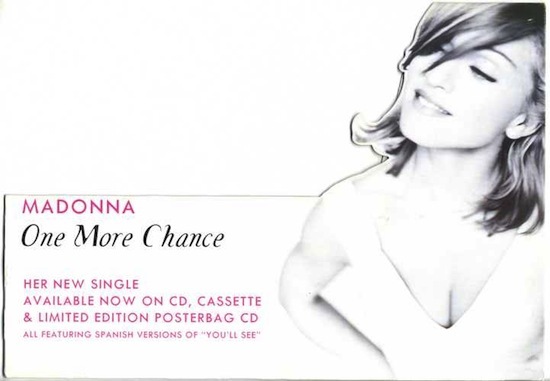 The Latin release included Verás the Spanish version of You’ll See.